Exceptional leaders, like Beth Johnson, are vital to our growth and success. Our hands-on leaders are an integral part of our day to day efforts, focused on helping our colleagues, customers and communities reach their potential. We are especially proud to see our Chief Marketing Officer and Head of Virtual Channels, Beth Johnson, honored by the prestigious American Banker as a 2017 Most Powerful Woman in Banking. The award annually recognizes the professional achievements and influence of the top-performing female executives in banking and financial services. Beth is responsible for corporate-wide marketing activities including the brand and customer experience, and for advancing Consumer Banking growth and profitability by leading and aligning strategy, pricing and data analytics efforts. 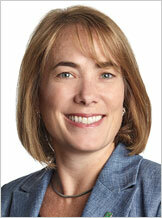 She also leads the firm’s digital team, including online and mobile banking. Beth serves on the company's Executive Committee, comprising the company’s most senior executives who provide leadership to deliver on the bank's overall business objectives. Over the past year, Beth has acted as an agent for change and aligned the company’s overall Consumer strategy that supports our vision to be a top-performing regional bank. She has placed customers at the heart of every initiative, product, and decision and, as a result, customer experience scores continue to improve across key metrics. Beth has also been integral to driving innovation at the bank. Examples include leading the charge on digital strategy and infrastructure, and transforming the bank’s multi-channel acquisition and servicing strategy. Learn more about our culture of exceptional leaders and collaborative colleagues at all levels.